Welcome to Wilde Farm. Wilde Farm wines are made for the table. Every wine that I have ever loved, I have loved more with food. 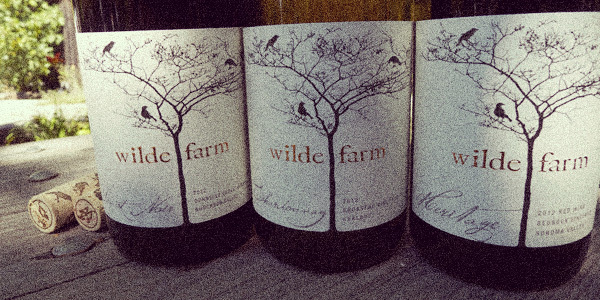 Wilde Farm wines are easy to drink, nuanced and sometimes even elegant. They tend to be lower in alcohol, though not always. We hope you will enjoy a bottle of Wilde Farm Chardonnay, Pinot Noir or a bottle of our Heritage field blend from the Bedrock Vineyard with a meal and perhaps a few friends. Wilde Farm was a place long before it was a wine. Built in 1907 on the estate of Samuel Wilde, a successful coffee and spice trader, Wilde Farm began as a horse farm, with a generous kitchen garden of vegetables and herbs. It is of the Colonial Revival style popular at the time. The edifice itself is purposefully constructed, with hand-hewn floorboards, chestnut moldings, high, plastered ceilings and strong, honest lines. Much like its eponymous wine, the house was expertly crafted of honest materials and made to age gracefully. About twenty years ago, my wife and I took over custody of Wilde Farm. There we have raised three beautiful boys, in the only home they have ever known. 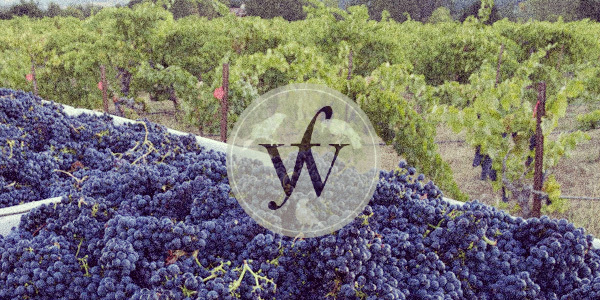 Wilde Farm makes wines from old vines and exceptional vineyards. Quantities are very small. Our wines are bright, balanced and made by hand. They emphasize a balance of acid and fruit. As an added bonus they age great. Wilde Farm Event in London May 9th. Cheers! Below is a very nice video review by Mark Andrews, Editor of Noble Rot magazine, offering a few words on Wilde Farm’s Donnelly Creek Pinot Noir. We will be with Mark and with Roberson Wine in London on May 9th, at the Golden State Trade event during the day and at Sager + Wilde Wine Bar in the evening, pouring a number of Wilde Farm recent releases. Hope to see you there. 2013 Donnelly Creek vineyard Pinot Noir: The 2013 Pinot Noir Donnelly Creek Vineyard bursts from the glass with exotic red berries, mint, crushed flowers, spices and pine. Vinification with 50% whole clusters and aging in new oak contribute to the wine’s totally translucent personality. Hints of orange peel and rose petal add intrigue and nuance. 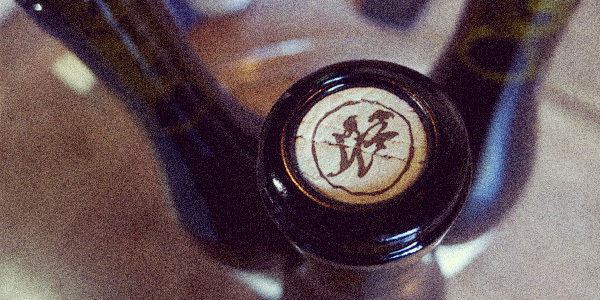 Weightless, perfumed and super-expressive, Wilde Farm’s Pinot Noir is superb. 95 Pts. 2013 Bedrock vineyard Heritage: Wilde Farm’s 2013 Heritage Red Bedrock Vineyard shows a totally different side of this site than readers might be used to. Picking early and gentle vinification results in a distinctly Pinot-leaning mixed blacks built on aromatics, silkiness and transparency. Sweet red cherries, plums, hard candy and Christmas cake are some of the many notes that inform this precise, super-finessed field blend from Wilde Farm. 94 Pts. 2013 Cardiac Hill vineyard Syrah: The 2013 Syrah Jemrose Vineyard Cardiac Hill is decidedly deep, dense and meaty, with plenty of varietal character and nuance. Smoke, tobacco, flowers and black cherries are all nicely delineated in the glass. Today, the Syrah is a bit rough around the edges, but it certainly has plenty of potential. The 2013 was done with 100% whole clusters and aged in neutral oak. 93+ Pts. 2013 Brosseau vineyard Chardonnay: The 2013 Chardonnay is simply beautiful. Apricot pit, smoke, spices, butter and smoke meld together in a surprisingly dense, powerful Chardonnay. These small, Wente clone clusters, with their high percentage of shot berries, yield a textured Chardonnay built on serious depth. Dried pear, spice and butter reappear on the finish. This is a surprisingly rich style for Pax Mahle these days, but it works. 93 Pts. Our second annual newsletter can be found here for your reading pleasure! It contains more information about the wines, the vineyards and updates you on some of the happenings present and future at the winery. Plus, it offers a bit of a preview on what to expect in the Spring. We hope you enjoy reading it as much as we enjoy crafting it. Jon Bonné, author of the recently published “The New California Wine”, offers some opinions about the state of California red blends – and includes Wilde Farm Heritage as an example of a success. The full article can be read here. Our First Reviews Are in!